Discover the Atlantic Slave Route with Us! 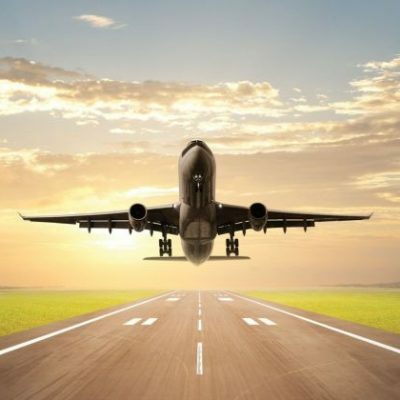 Travelling to a new place can be unsettling especially if things go bad from the get go. 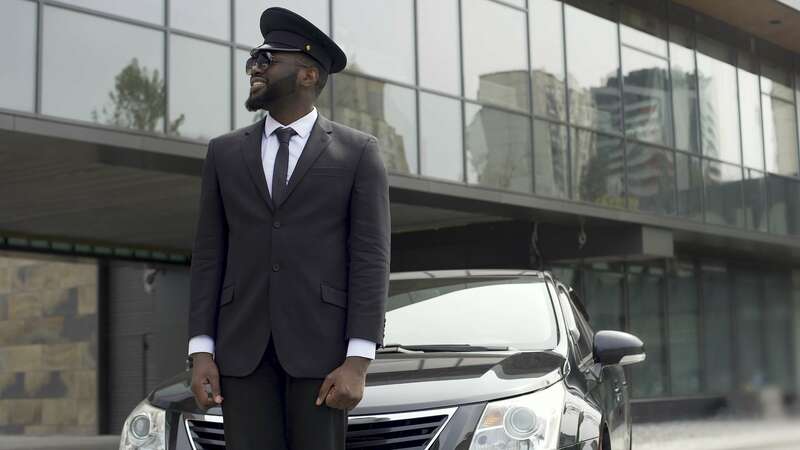 At Can Do Land Tours, you can fully rely on our professional chauffeurs, stay relaxed, and reach your destination safely… just step right in and sit back. We will take care of everything else. 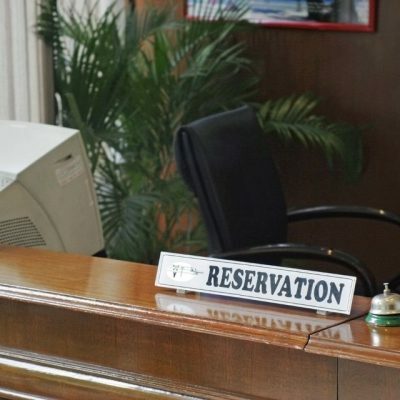 Our priority is to provide you with an opportunity to settle in comfortably and without much stress. 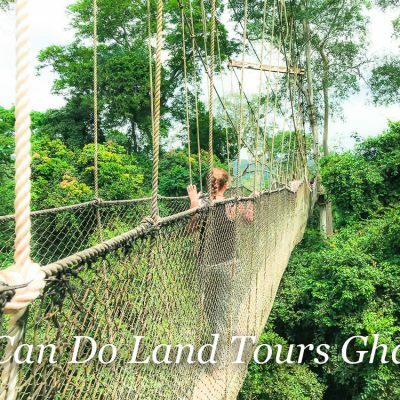 We know travelling usually takes you out of your comfort zone and that’s why we are focused on ensuring that you have the best experiences whilst visiting Ghana. 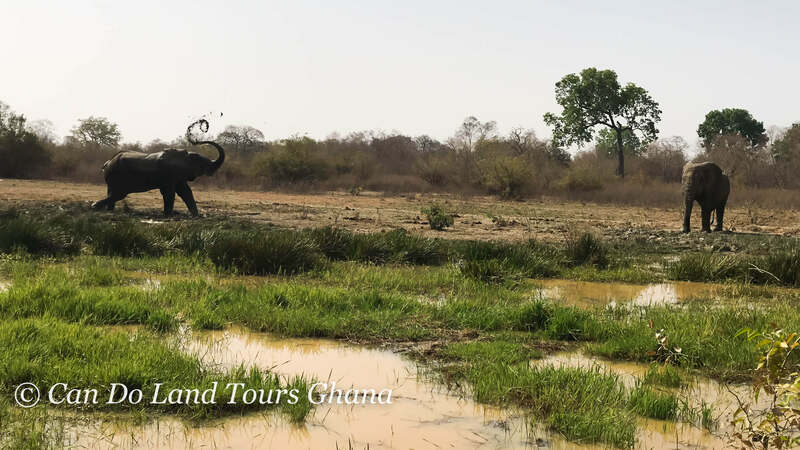 Sometimes not knowing what to expect is a part of the package of travelling, but at Can Do Land Tours, we want the opportunity to positively impact your independent travel in Ghana. 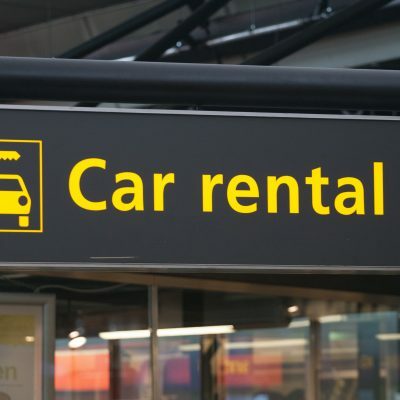 Can Do Land Tours offers a range of car hire services provided with skilled professional drivers. We offer you the opportunity to explore and travel at your own pace, with the freedom to stop, start and take a break, when and where you please; such places can include real gems in rural areas, smaller towns and villages, natural attractions and historic castles. Journeying with Can Do Land Tours Ghana was one of the best experience I have ever had. The hospitality they render is very touching and they brought me to the root of Ghanaian society which opened up a way for me to learn the culture and life of the people of Ghana especially the Akans. 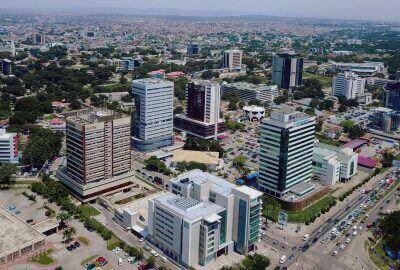 Ghana is beautiful country with great food and great people; thus, you have to try really hard not have a good time. 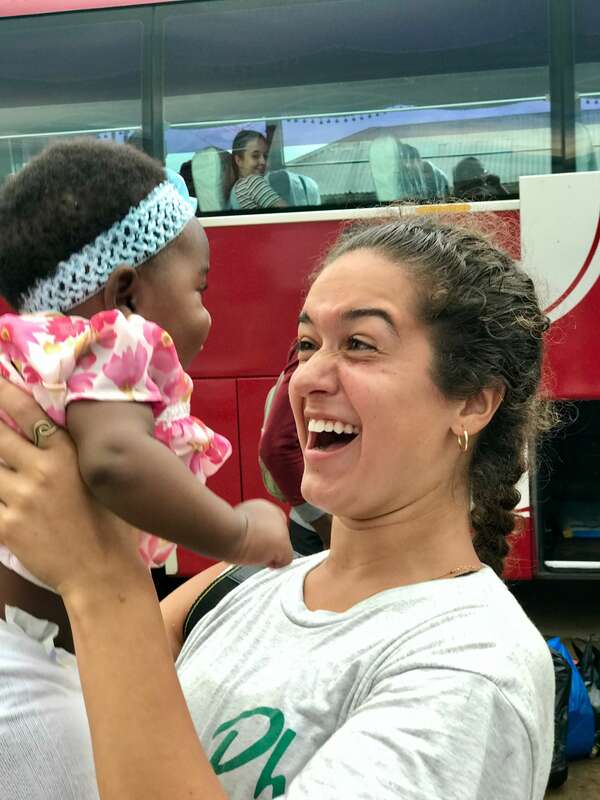 Although, during my visit to Ghana, I chose to do a tour with Can Do, which made my experience more than just a good time, but made my experience one that I will never forget. Truly one of the most memorable, incredible experiences of my life. It was smooth from beginning to end. Every single person I had the pleasure to meet was remarkable. The town is so wonderful and welcoming. I visited for a 4 night homestay while on Semester at Sea, and words can hardly describe how special it was. Highly, highly recommend!! Incredible experience! Love the way Fred took care of the group and really made it special. Thanks!! 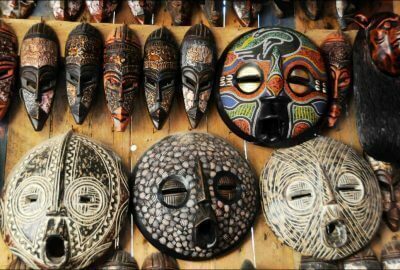 The land of history & culture invites you to discover, explore and learn about Ghana, the vibrant country of West Africa. 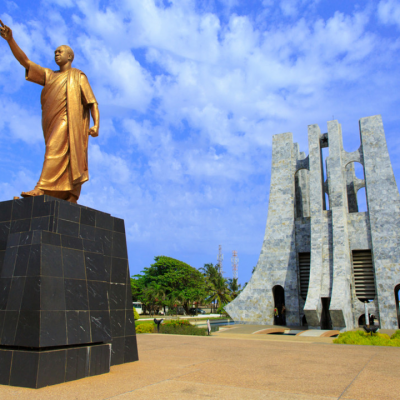 Visit the best destinations in Ghana that offer the chance to not only indulge in their food, cultural heritage and much more but also their history that plays a significant role in our world’s timeline. 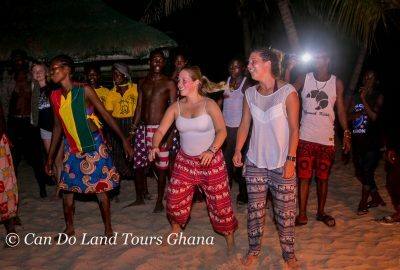 Different kinds of drums are played in Ghana which differs from tribe to tribe, and it’s a wonderful experience being so much close to the heart and soul of the Ghanaian culture in this exciting tour. 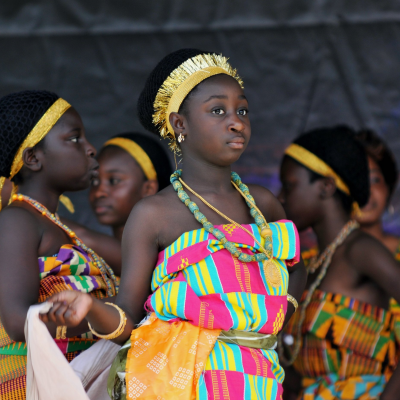 Explore drums in the manifold, how it is done, where and when it's played ranging from Atumpan, Borborbor, Kpalogo among others, bead-making skills as well as kente weaving skills. 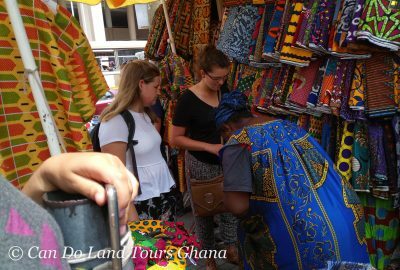 This tour highlights the beauty of Ghana’s culture/heritage, historical sites & food. A trip filled with wonderful, unforgettable memories. 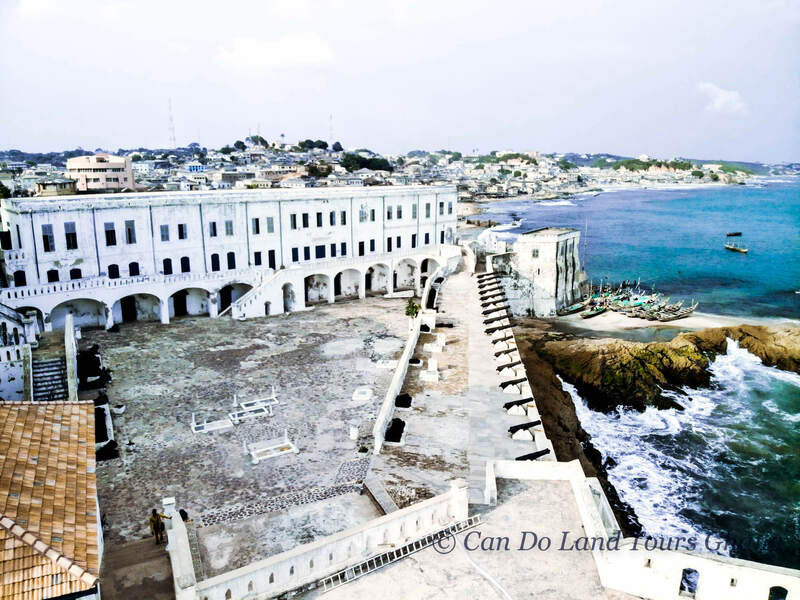 An expedition to learn more of Ghana’s cultural diversity, castles, and forts which played a major role in the slavery, and a northern safari to complement our thrilling voyage. 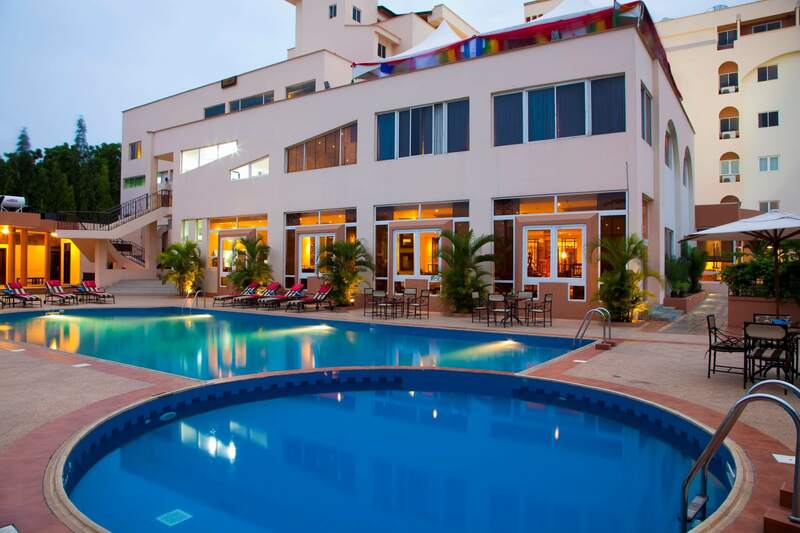 20B Gbatsuna Road, Osu Nyaniba Estate — Accra.